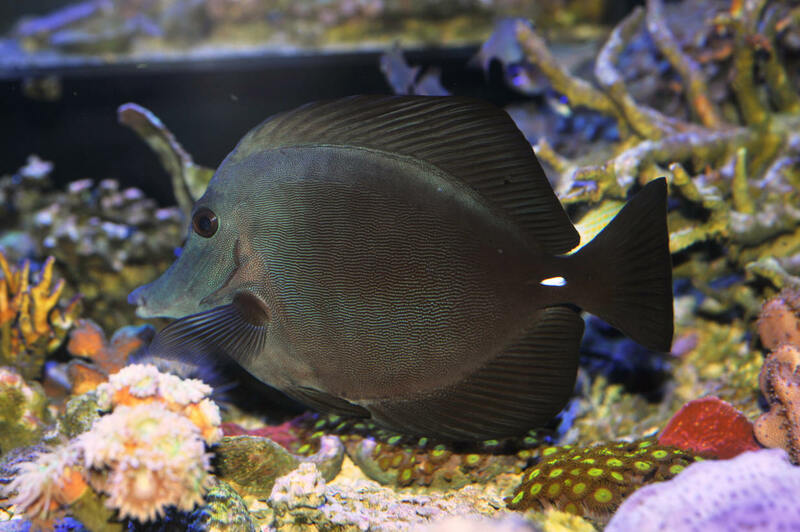 Black tangs come from Hawaii and usually command a very high price tag; they are usually bought as the showpiece fish for a tank. They are very hardy, but need enough room to swim and hide easily. Also known as the Longnose Sailfin Tang or the Longnose Surgeonfish, they can be aggressive towards fish of the same or similar species.